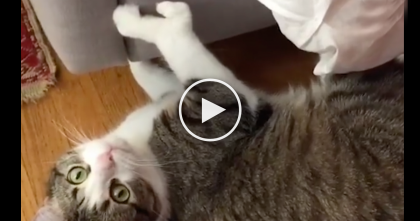 This curious kitty got a little TOO curious and accidentally falls into a box, his human didn’t even have a chance to save the accident from happening, but at least this cat owner had a chance to ask his cat if he was ok, and the reaction you hear next is just adorable!! 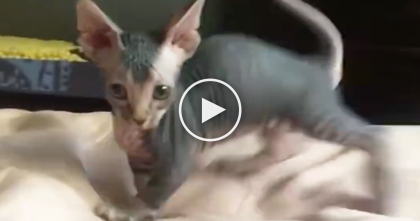 These Kittens Enjoy Playing, But Take A Closer Look… I’ve NEVER Seen A Kitten Like This, Have YOU?! They Gave This Kitten A Pacifier For A Toy, What Happens Next… I Didn’t Expect This At All, LOL!! 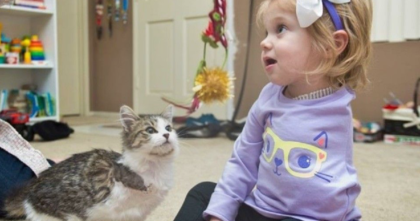 Cat Looks Normal At First, But Take A Closer Look At His Paws… Oh My Goodness, WHAT? !